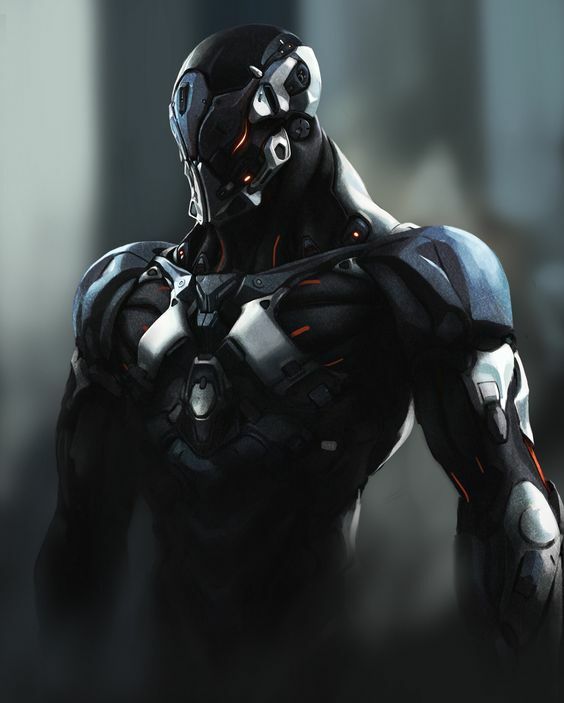 Highly sophisticated Soldiers and Warriors, the P1 utilises a Proeliator Battle Brain to function. Combat Function - Forward Infantry. The P1 provide firepower in numbers, communicating extensively both verbally and over mental telecommunications when necessary. Their tactics are blitzkrieg-based and heavily coordinated, but their Proeliator Brains allow for the occasional independent movement/decision like most Living Armies. Rapid Adaptation - The P1 learns fast, very fast. A battalion in one battle will be noticeabley different in the next, carefully analyzing what mistakes its fellow droids had made and quickly recognising how to counter such actions. Galaxy Note 7 - The Brain in the head of every P1 is a super-advanced piece of kit. Except for when it randomly destroys itself. Although not a common occurrence, the spontaneous melting of the brain is an issue. EMP/ION - The Brain itself is resistant to such devices. But there is a loophole. The Brain destroys itself if the Host Body is shutdown, which itself happens to not be EMP/ION Hardened. Disable the Body and the Brain dies. It's been 4 years since production on the Proeliator Battle Brain and its host body began. Over the course of those years, factories had been set up in numerous places across the Galaxy, notably Coruscant and Quarzite. Mines and Caverns disguising as simple workplaces had black-sites in which they stored the growing numbers of Dormant Droids. And now, they've been activated. The Emergence Empire, the Prime Project that all of Orex's other endeavours fed into has finally been realised, and the vast storage facilities he set up are slowly being emptied of their contents. An Army of sophisticated Droids prepared to lay waste to those that threaten the new age of Science, Knowledge, and the extermination of all things that hold these values back. Edited by Orex Mauda, 17 April 2019 - 02:27 PM. For future, you'll get a quicker respond if you tag someone, it was coincidence that I checked on this. Before I move it however, what model of droid are you using? This looks like a custom droid, in which case you need to submit that to factory before this can be moved for review. Ahh right. I was a bit conflicted as to whether I should sub it as technology first but decided against it. I'll sort that now. Let me know when you have. You need to link the droid here, not just tag me in the droid, and put the appropriate Size category from the template (check the chart, as your size and availability must match the production values of your factory subs). Moving to codex for juding.